A. P. Rao is considered to be one of India's leading, modern philosophers. In this compelling new monograph, he discusses the unique philosophical energies and synergies between Russell and Wittgenstein's seminal works and re-interprets the logical-positivist thrust of language and mathematical philosophy in this century and into the next. 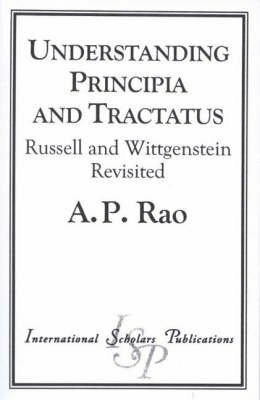 ..".a thorough display of Rao at his brilliant best... an important addition to any research library of philosophy worth its salt." -Andrew Woznicki, University of San Francisco.